I heart mango ! From crunchy green sour mango to jelly-like sweet golden mango, I eat them all !!! Yum ! 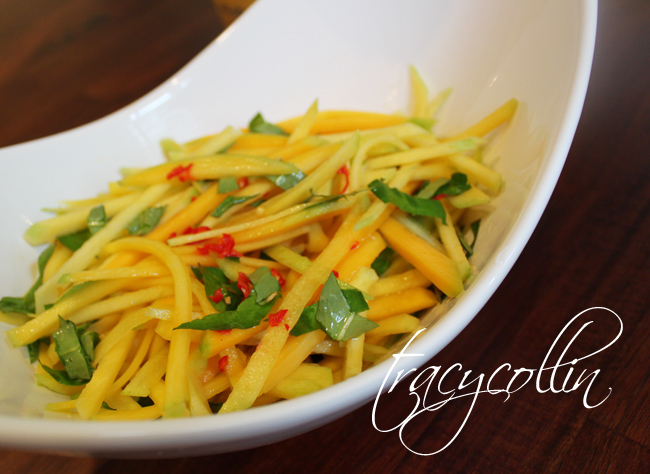 When my friend Nancy had me over at her place, few summers ago, I was curious about the sour mango salad she made. I never had Vietnamese sour mango salad before that day and I am so glad she made it. It was very tasty and quickly became my favorite salad. 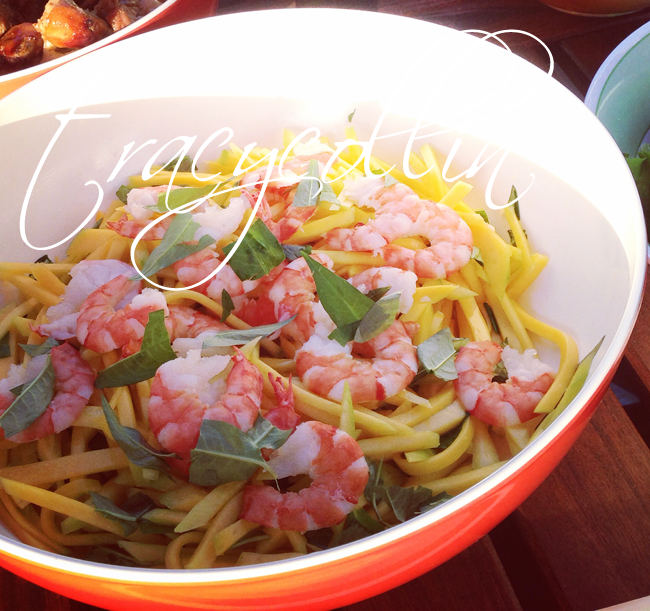 Here a super easy and tasty recipe that serves great as a side dish for 4-6 people. It's great pairing with grilled meat or spring rolls. > Let them soak in the dressing for about 20 min. before serving ! *** NOTE *** This dish is very forgiving because the flavour of the mango overcomes all others :) so you don't have to measure the dressing to a T ! Depending on the sweetness or sourness of the mango, you can adjust the sugar, lime and fish sauce to your liking.